Bosch Metric Dies are ideal for cutting right-hand external metric threads. The hex head shape is designed for use in die stocks and adjustable wrenches. They are commonly used for threading rods, bolts, and studs. Made from heat-treated carbon steel, they are rust- and tarnish-resistant tools. 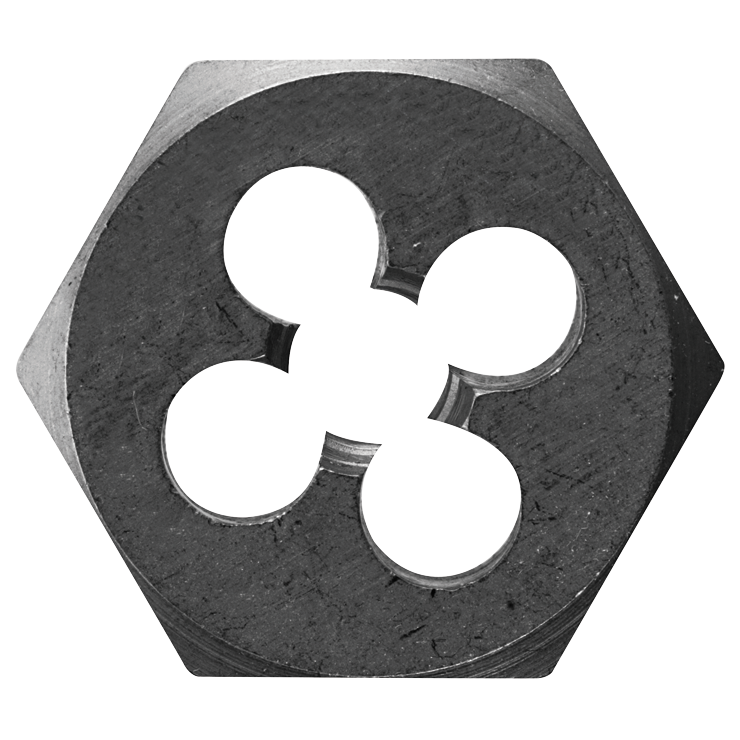 The hex head shape of the die is designed for use in die stocks and adjustable wrenches; dies measure 1 In. across the flat. They are tooled to the most exacting specifications to ensure that threads provide a tight fit. Laser-etched marking indicates starting side, ensures size identification and won’t wear off.